Finally the wait is over for Bangladeshi tigers and soon they will check the taste of PayPal a premium online e-currency payment solution of the world. 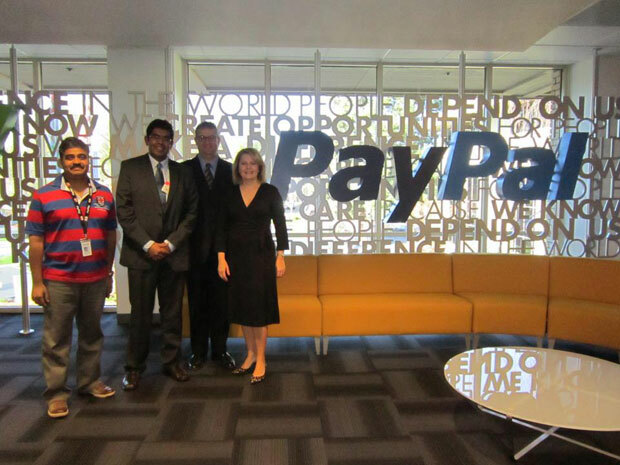 Bangladesh was among one of the unfortunate countries in the world like Pakistan, Iran, Afghanistan etc where PayPal is not available due to some banking issues but now after some delegations from Bangladesh visited PayPal officials in USA previous month which includes the CEO of BDJOBS.com Mr. Fahim Mashroor and Senior Vice President at BASIS (Bangladesh Association of Software and Information Services). The tour was a success in which they had a meeting with senior executives of PayPal at PayPal head office in San Jose, California USA. PayPal is no doubt the dream for every professional who works online in order to make money because its the only way to reach customers all around the world and send/receive payments from them. With PayPal unavailable in your country you are limited to very few online earning opportunities and hence more frustration for you in this era of economic recession. Bringing PayPal in Bangladesh is the result of chain of events held in Bangladesh in last few years including eAsia Conference 2011, a top ICT event held in Dhaka last year. Later, after a moth of eAsia Conference 2011 officials from BASIS(Bangladesh association of software and information services) gave an announcement that PayPal has decided to start their operation in Bangladesh from September 2012. Why PayPal is Still not Considering Pakistan. The million dollar question for Pakistani online community when will PayPal going to start its services in Pakistan. After reading the above news its worrying time for Pakistan as we all know that Pakistan is bigger economy than Bangladesh and there is much more potential for PayPal here rather than Bangladesh. If they can convince PayPal to start their service in Bangladesh than its our fault that PayPal is still not available in Pakistan. Although you can open and verify PayPal account in Pakistan via some desi method. I think the time is come that we should also get together to solve this issue and convince PayPal that there is also very much potential for them in this country. If there are some banking issues involve than it can be solved like any other issue. There is no issue in this world which can be solved(if you are serious to solve the issue.) I personally think that its also the responsibility of people related to banking sector as well as media to highlight this issue because if PayPal is going to start its service in Pakistan than there is a huge flood of jobs can be injected into our system where millions of students are jobless or earning very little.